Budyń is similar to the thick English custard that is used on trifes, rather than the pouring type. The word comes from the French – boudin, as does the English word pudding. It is made from milk, egg yolks, sugar and potato flour & flavoured most often with vanilla. I have found numerous recipes – this one is my favourite. I think this is best eaten after it has been very well chilled. Put 300ml of the milk, the butter, sugar and the vanilla essence into a saucepan. Heat gently till the butter had melted and the sugar dissolve, stirring all the time. Bring this to the boil for a few seconds and then take of the heat. Blend together the rest of the milk (200ml) with the egg yolks and potato flour. Add some of the boiled mixture to this and stir well. Add this to the rest of the boiled mixture and stir well. Put the pan back on the heat and bring back to boiling point, stirring gently. Keep at boiling for 1 minute, stirring all the time. Pour into a glass dish (or several small dishes) – leave to cool. You can cover the budyń with greasproof paper to stop a skin forming. Serve with grated chocolate, fruit or fruit syrup. Served here in Art Deco sundae/trifle glass dishes from the 1930s. Budyń can be made from packet ingredients with fresh milk. The ingredients are cornflour & potato flour with flavouring. 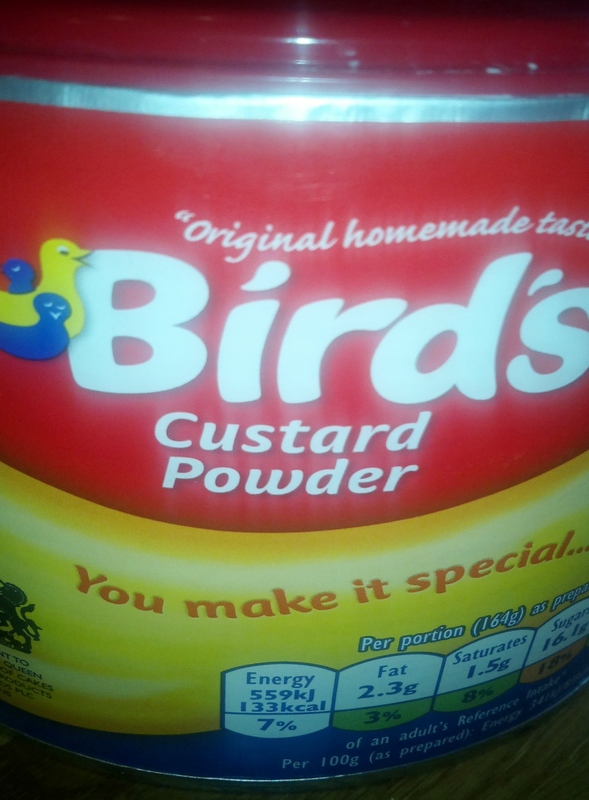 This is similar to British Birds custard which is made from cornflour and flavouring and added to fresh milk. 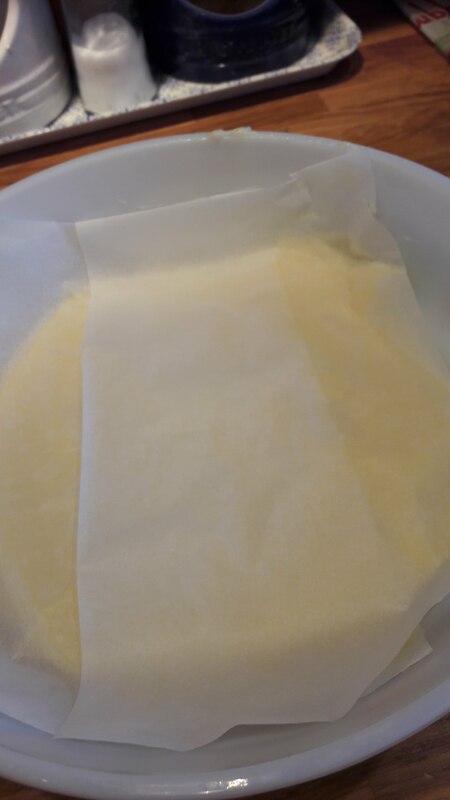 Budyń is used in cakes and pastries as a filling and to make vanilla pastry cream used in several recipes including Karpatka (recipes to follow in future posts) Carpathian Mountain Cake. When I visit my friend in The Netherlands we often have vla for dessert – this is very similar to budyń. Vla used to be sold in bottles but more often now comes in cartons. Originally it was also made from milk, sugar and eggs but now the thickening is more usually cornflour. In the Netherlands, vla is often mixed with yoghurt. I mix roughly equal parts of budyń with chilled Greek yoghurt and whisk it together to get a well combined mixture. This can be served with grated chocolate, fruit or fruit syrup.